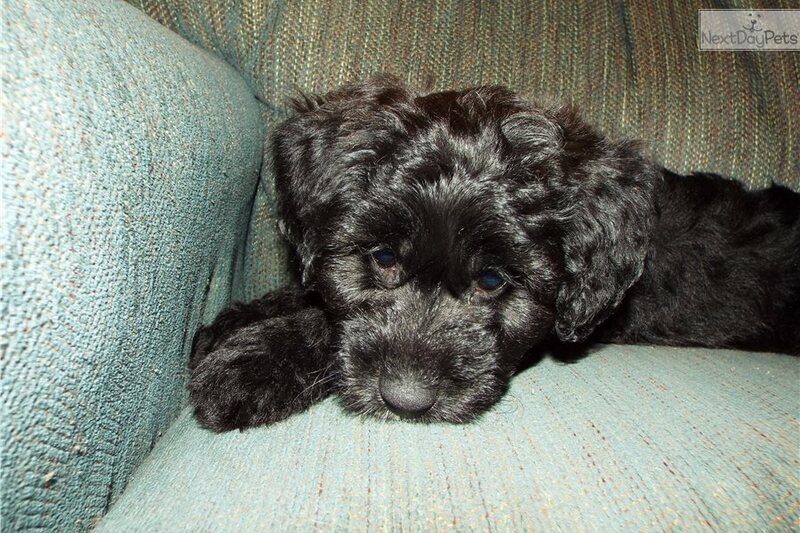 This Aussiedoodle nicknamed Elmer sold and went to a new family. 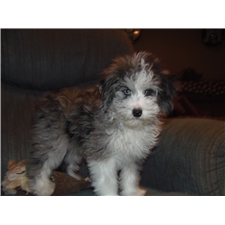 Elmer is a male miniature aussiedoodle .He is black with white markings. Mom is a blue merle miniature australian shepherd weighing 28 pounds. Dad is a black/white parti poodle weighing 16 pounds.I would guess Elmer to be 20-25 pounds full grown. Elmer has been vet checked and is up to date on shots and worming. He has a super friendly personality and loves to play.Sorry no shipping.If you would like to meet Elmer you can call 419-826-4770 to set up an appointment.